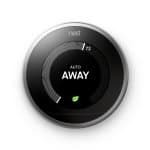 The ecobee and Nest are widely considered the best two smart thermostats available. Read just about any smart thermostat review and you’ll repeatedly see these two come out on top. So how do you decide which one is the better buy? I’ve personally used both products and I’ve found 8 key differences. My favorite is the ecobee, but, depending on your personal taste, the Nest may be a better fit for you. 5 5. 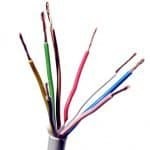 Is A C-Wire Really Necessary? Put one of these babies on your wall and impress your friends. Who would have thought that a thermostat could be a topic of conversation? 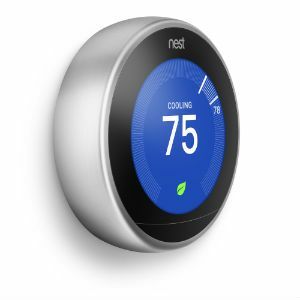 The Nest Learning Thermostat has a modernized look of the classic Honeywell Round. It has a stainless steel outer ring that reflects your wall color and allows it to blend in with any décor. The face lights up with blue light when your system is cooling and orange light when it’s heating. The solid construction is obvious when you handle the thermostat. Its heavy and feels sturdy. 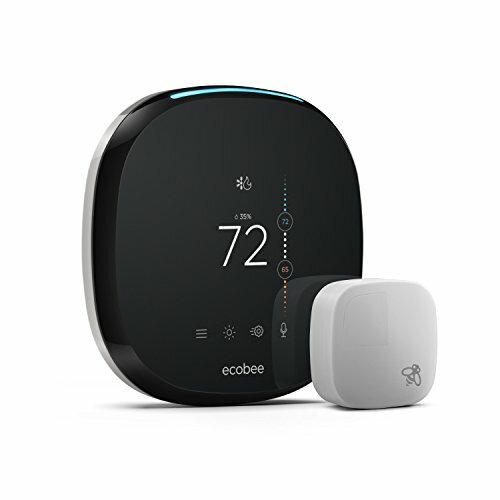 Instead of revisiting the round design from the distant past, ecobee decided to take the rectangular look from the programmable thermostats of the past 30 years and round the corners. The result is something that looks a bit like an oversized smartwatch. It comes in black plastic and sports a significantly larger screen than the Nest. The screen is also a touchscreen which gives you access to many control settings from the base unit if you desire. I’m a proud ecobee user, but I have no problem admitting that the Nest looks great. The ecobee looks good too, but it just doesn’t have the same “cool” factor. One of the big marketing hooks for Nest is that it “automatically learns your schedule”. So what does that even mean? Is it a magic, mind-reading thermostat? When you first install the Nest, it makes a few assumptions about you based on typical humans. It uses those guesses as a baseline for its schedule. Sooner or later, you’ll feel too warm or too cold and you’ll use either the app or the thermostat to adjust the temperature up or down. When you make an adjustment, Nest records it. After a week or two of adjustments, Nest will “learn” your schedule and the temperature settings you prefer. Over time it will continue to respond to your adjustments. So rather than keeping a fixed schedule, it will continually evolve. If you don’t like the way Nest learns, you can always shut the feature off. Nest can be programmed to run on a conventional schedule if you shut off the learning feature. The ecobee uses a more conventional schedule. You choose your desired times and temperatures for when you are home, away, and sleeping. Here’s my schedule as viewed from the web console. Once the times and temperatures are set, they don’t change unless you change them. Setting up the schedule is not difficult and can be done from the thermostat, the mobile app, or the web console. Is Nest’s schedule learning feature better than a regular schedule like ecobee’s? Or, is it just another gimmick that seems to be all too common in the smart home universe? For people that are really hands off, I can see a definite benefit to Nest’s way of doing things. However, if you’re a more hands on person like myself, you might not find Nest’s learning feature very useful. Personally, I prefer knowing the heat/AC is set to come on at a specific time. Then, if something turns on when its supposed to be off (or vice versa), I know something is wrong. Either way, Nest’s learning feature is an extra option that ecobee doesn’t have. If you have a Nest and you like the learning feature, you can use it. If not, turn it off. 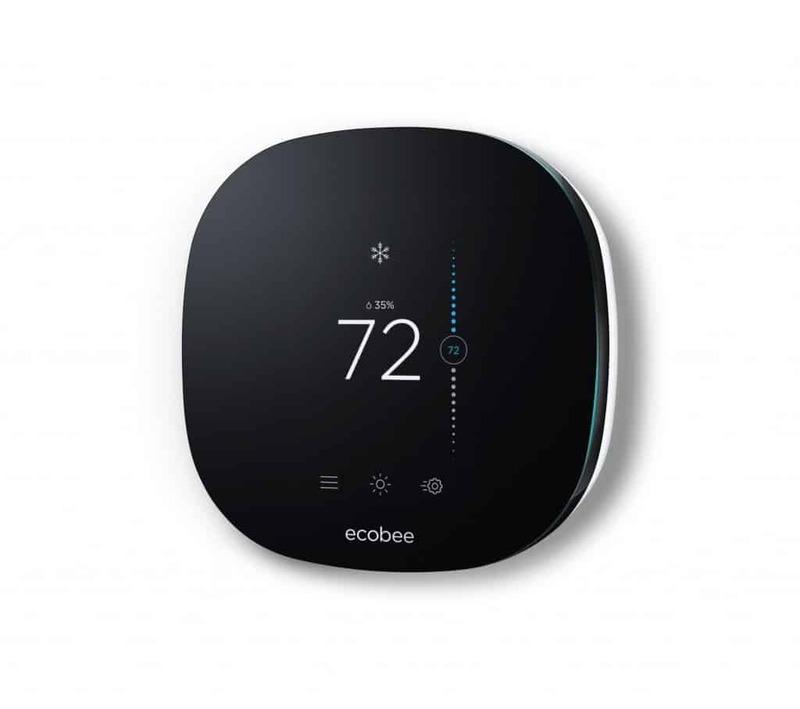 Both companies have released lower cost versions of their flagship models, ecobee3 Lite and Nest e.
The ecobee3 Lite looks almost exactly the same as the ecobee4. However, it doesn’t come with a built in Alexa speaker and it doesn’t have the extra accessory terminal. The only functional difference between Nest e and Nest is it’s missing the extra accessory terminal. The main difference is the look. 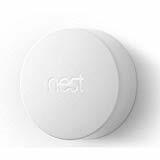 Nest e has a much more subtle appearance than Nest. Both economy versions are missing the extra accessory terminal. Other than, that the function is basically the same. ecobee3 Lite loses its Alexa ability and Nest e doesn’t have Nest’s flashy looks. Unless you need the extra accessory terminal, most people prefer saving some money with the ecobee3 Lite over the ecobee4. However, I think more than a few people pay the extra money to get the looks of Nest even if they don’t need the accessory terminal. Many smart home products can use your phone’s GPS as a means of determining whether you are home or not. This is called geofencing. If you cross the geofence leaving your home, the thermostat can switch to away mode. Then, when you cross the geofence on your way back home, the thermostat will resume heating/cooling. Nest’s geofencing is built right into their app. You can even set up multiple accounts so that geofencing works with multiple phones. It automatically combines the use of geofencing with cues from other “Works With Nest” devices to determine whether you’re home or not. For example, Nest Protects have motion sensors on them. If you take your phone and travel outside your geofence, the thermostat will go into away mode. But, let’s say the kids are still at home. The Nest Protect motion sensors will detect motion in the house. Therefore it knows, someone is home so it will ignore the geofence trigger to switch to away mode. Ecobee supports geofencing too, but only for one phone. This is a bit of a problem for my wife and I. If I happen to leave the house for a few hours, my phone always goes with me. Therefore, the thermostat goes into away mode. If it happens to be the middle of January, it won’t be long before everyone in the house is freezing. Fortunately, there is a way to set up geofencing with multiple phones on the ecobee. Unfortunately, it requires the use of a couple third party apps (IFTTT and Life360). It’s not difficult, but it did take me about an hour to get everything set up. I’ve written detailed instructions on how to do it here so you should be able to do it in about 15 minutes. Although this solution works, its less than ideal. It’s extra work and it just seems like a hack job. Plus, it doesn’t seamlessly integrate with other products like Nest does. I consider this the biggest advantage Nest has over ecobee. Geofencing is the biggest way I save money with my smart thermostat. The fact that I have to “hack” together a solution for geofencing with multiple phones is disappointing. 5. 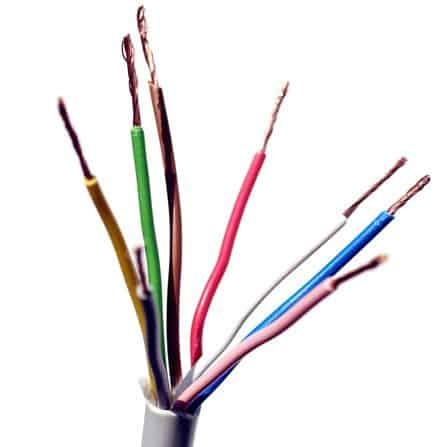 Is A C-Wire Really Necessary? 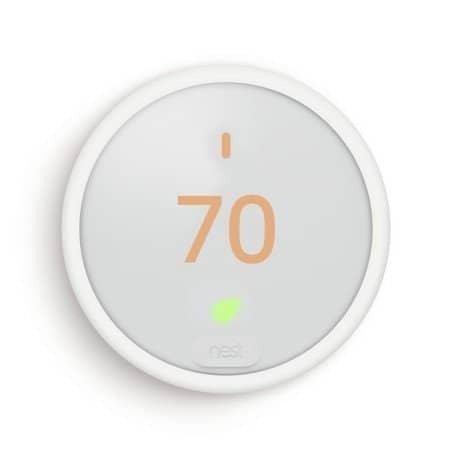 If your current thermostat wiring doesn’t have a c-wire, you could eliminate some wiring by going with the Nest. The Nest thermostat can be installed without a c-wire. This allows you to avoid the hassle of installing a c-wire yourself. Ecobee cannot be installed without a c-wire. Instead, ecobee includes an extra set of wires they call the PEK (power extender kit). If your system doesn’t have a c-wire, you’ll be instructed to install the PEK. The installation requires attaching a few wires to your HVAC control board. Nest works without a c-wire and ecobee does not. Advantage Nest, right? In order to avoid needing a c-wire, Nest powers the thermostat using an electrical trick often referred to as power stealing. Nest’s power stealing is capable of causing your system to behave erratically. Therefore, even if I had the Nest, I would recommend installing a c-wire anyway. Its really not that difficult and you’ll avoid a potential source of major headaches in the future. For more information about c-wires, how to add one, and how power stealing can lead to problems, see my article all about the c-wire. Voice control is the number one way I interact with my smart thermostat. ecobee seems like they’re really dedicated to voice control. They support all three major voice assistants. Also, the ecobee4 has an Alexa speaker built into it. If you don’t already have a smart speaker near your thermostat, it could be useful. Nest supports both Google Home and Amazon Alexa. However, it doesn’t directly support Apple HomeKit and it’s unlikely that it ever will. The integrated Alexa speaker on the ecobee4 is a minor advantage. But, if you already have a smart speaker nearby, the extra one might end up causing problems. If you’re a HomeKit user, the ecobee would be a better choice. How do you know if your smart thermostat is working the way it should? Some people will be content to just slap it on the wall and let it do its thing. But, that’s not me. I want to see some details. 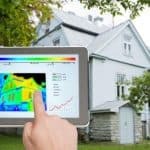 The ecobee4 records and analyzes HVAC data for a full 18 months. Their analysis tool is called Home IQ. It’s provided free of charge by ecobee for as long as you own the thermostat. Ecobee’s data reports blow the competition away. All temperature and motion data from both the thermostat and the remote sensors is recorded. Every time you manually change the setpoint, it gets recorded. Every time the thermostat takes any kind of smart action, it gets recorded. Ecobee takes all this data and puts it into a chart format that can easily be navigated using the web console. The Nest includes data feedback, too. However, compared to ecobee’s reports, Nest data reports are child’s play. Nest only records 10 days of data. It doesn’t give you any fancy analysis either. It just shows a visual of the times your system turned on and off during those 10 days. It will also mark the times when the thermostat set point was changed. Using that, you can compare total usage between certain times of the day and different days. Nest also sends out a monthly home report via email. It includes a summary of your energy usage and compares it with past months and other Nest users. With ecobee, everything is recorded and visible in chart form. You can go back 18 months and see minute-by-minute data from the sensors (motion and temperature), home temperature and outdoor temperature, set points, hold events, and smart events. Bottom line: if you’re looking for energy reports and analysis, ecobee with Home IQ is the way to go. Nest has closed the gap some, but ecobee remains the superior option here. 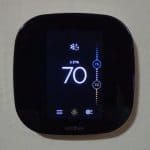 The temperature where your thermostat is installed might be different than the temperature where you spend most of your time. Remote sensors allow the thermostat to take readings from any room throughout your home. ecobee’s remote sensors can be placed wherever they are needed in your home. They send temperature and motion data back to the ecobee (more info). Using that data, the thermostat can keep the areas you use the most at the temperature you prefer. The retail ecobee4 comes with one remote sensor. Extra sensors are available for purchase in packs of two. Ever since the release of the ecobee3 several years ago, their remote sensors have been wooing would-be Nest customers over to the ecobee side. However, that may have come to an end. Nest has released sensors of their own. They serve mostly the same purpose as the ecobee sensors save for one notable exception: Nest sensors only include temperature sensing. There’s no occupancy sensing. ecobee’s sensors have motion sensing and Nest’s do not. That means Nest’s sensor driven features are at a disadvantage (relative to ecobee) from the start. Check Priceecobee4 Alexa-Enabled Thermostat With Sensor Are you a hands-on tinkerer with a love of customization and endless data? Then, the ecobee4 is your match. Check PriceNest Learning Thermostat 3rd Generation Do you want a thermostat that looks great and just works right from the start without any thought from you? In that case, the Nest is probably a better fit. Is designed to be the ultimate in convenience. After an initial week of “training,” the thermostat is ready to operate on its own with only minimal input from the user. If you are a person with a regular schedule, the Nest will be able to adapt to you quite well. Comes with home/away assist which utilizes both geofencing and home motion sensing. Keep in mind that Home/Away Assist will work best if you have other Works With Nest products. 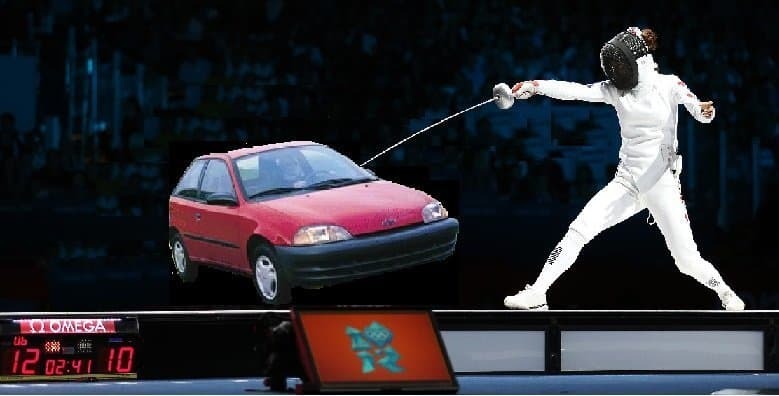 Has sensors. This gives you the ability to have room to room control of your home’s climate. Is designed with the enthusiast in mind. It has many available options to fine tune your equipment’s performance. Has the PEK. Whether you have a c-wire or not, you are covered with the ecobee. Tracks 18 months of data and uses Home IQ to give you a comprehensive analysis of your energy usage. Lack of control. It has a bunch of cool smart features, but if they aren’t working quite as smartly as you want, there isn’t a lot of configuration available. You can either turn the smart feature on and live with what Nest thinks is right or turn the feature off and live without it. They say you don’t need a c-wire to install the Nest, but you may end up with some very erratic results if you don’t. Lack of native geofencing. If you don’t have the technical skills to set up geofencing with IFTTT, your smart home/away will not work as well as Nest’s. If your technical skill level is low (or you have no interest), you won’t get much use out of all the options that come with the ecobee. Right out of the box, Nest looks great and feels like a quality product. It has the most comprehensive home/away system and is the original thermostat that can “learn” your schedule. It has sold a ton of units and was the one thermostat that really put smart thermostats in the public eye. The ecobee4 gives you nearly as much smart as the Nest and backs that up with superior customization and data feedback. Plus, it’s extra sensors give it some unique abilities. It’s a solid product from a solid company that isn’t going anywhere anytime soon. What do you think is the most important difference between Nest and ecobee? Which thermostat is your choice and why?